Nerang Forest Retreat is a one bedroom cottage equipped with all the comforts. 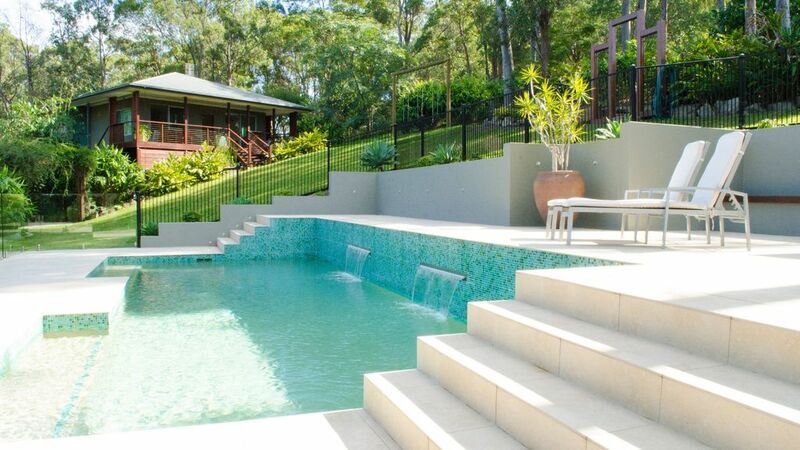 Nerang Forest Retreat is a holiday rental located near Surfers Paradise on the Gold Coast, Queensland, Australia. It is situated on the Nerang Forest Reserve. We are centrally located to many tourists sites and attractions making our guest house the ideal location for your vacation. The setting is very quiet and we pride ourselves in making our guests comfortable and tranquil. We have a wellness spa on the premises which offers massage and beauty treatments. The Beauty Spa and wellness center is by appointment only. Large bathroom with shower and toilet, soap and shampoo/conditioner. Soft luxurious towels. Split cycle, ducted air conditioning. Air conditioning and Wood fire. Fresh sheets and towels always available. Washing machine and washing powder, basket and clothes line/pegs. full laundry. Wood fire stocked up with wood for the winter. Also an outdoor brassier. Under cover parking available for one vehicle. Living room is very light and airy. Views to beautiful bushland and trees and Swimming pool. Gas stove and electric oven. Tea, coffee, butter, jams, Vegemite, peanut butter, chocolates, eggs and bread and milk provided. Open plan kitchen with gas stove and all the essentials, coffee machine, waffle maker, wine glasses, tea and hot chocolate. Large TV, DVD and Cable Foxtel with all channels included. Stacks of good books to read. Bose Ipod speaker with hours of easy listening music. Swimming pool is always available with beach towels provided. Everything exactly as promised. A lovely place to stay. An absolute gem in a beautiful location. A well appointed unit with everything you need. Would highly recommend Nerang Forest Retreat. Better then 5 star. Thank you David we are so glad you enjoyed it. I loved chatting with you Mabbs before you left. One of the benefits of hosting is meeting good people like yourselves. Hope you come again! This property is stunning! It is so peaceful and beautifully landscaped. Highly recommend, we will certainly be back! If you are a nature lover and bird watcher, this is the place. It is very clean, comfortable and peaceful. We had just finished hauling our sailboat out of the water nearby and needed a place to relax for a couple of days. Denise and Keith could not have been more welcoming. My husband and I stayed at Nerang forest retreat with our newborn baby for a wedding nearby...not only was the property absolutely beautiful, but Denise the host was very accomadating and we felt just like we were at home. The property felt so remote surrounded by beautiful bush, yet a 5 minute drive from the shops and great cafe. Our baby girl also felt settled and the bed was a dream! Thank you for having us and we would definitely stay again. We are surrounded State Forest tracks popular with mountain bike enthusiasts or walking tracks. Mountains are driving distance away and also theme parks and beaches. The property is in a quiet area though very close to town and country.